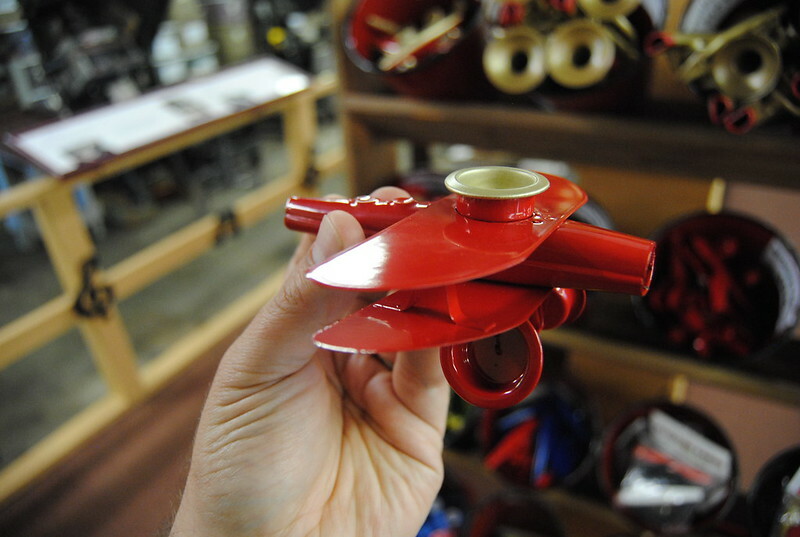 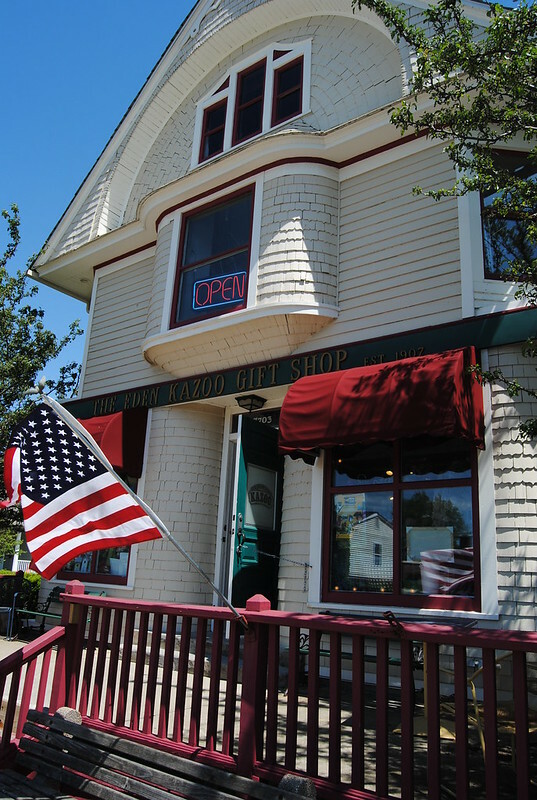 We stopped at The Original Kazoo Company, located in Eden, New York. 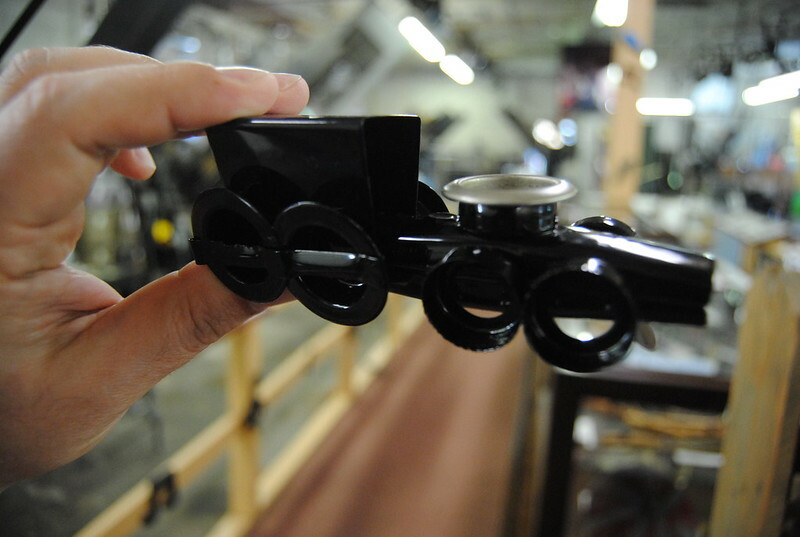 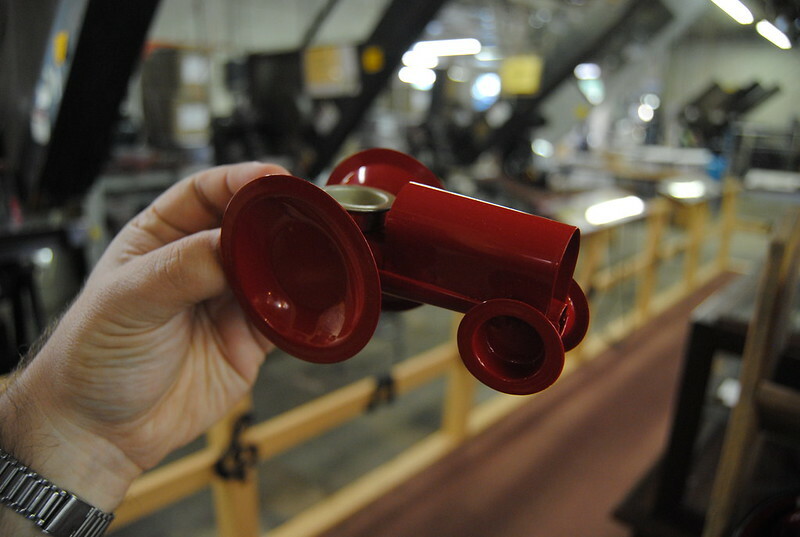 The factory is located inside, and they still use the same equipment and methods to make metal kazoos since 1916. 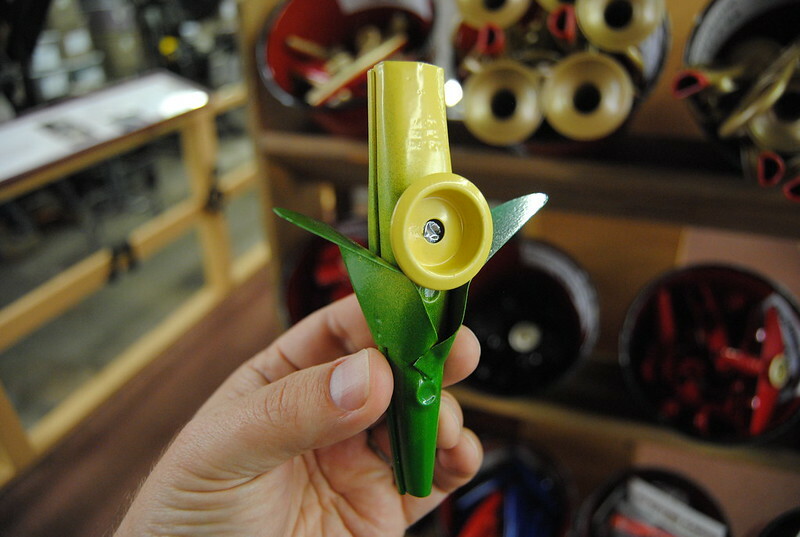 It is now the only original metal kazoo factory in the world. 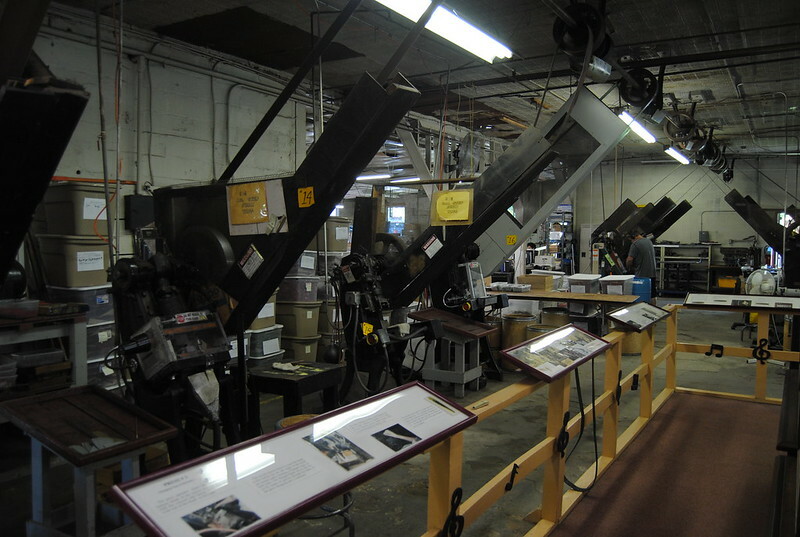 The factory is now owned by Suburban Adult Services, Inc., and helps individuals with developmental disabilities. 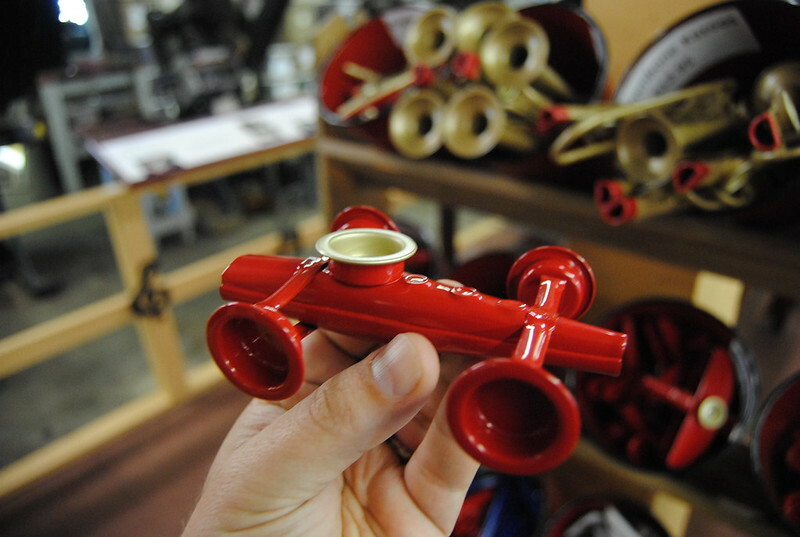 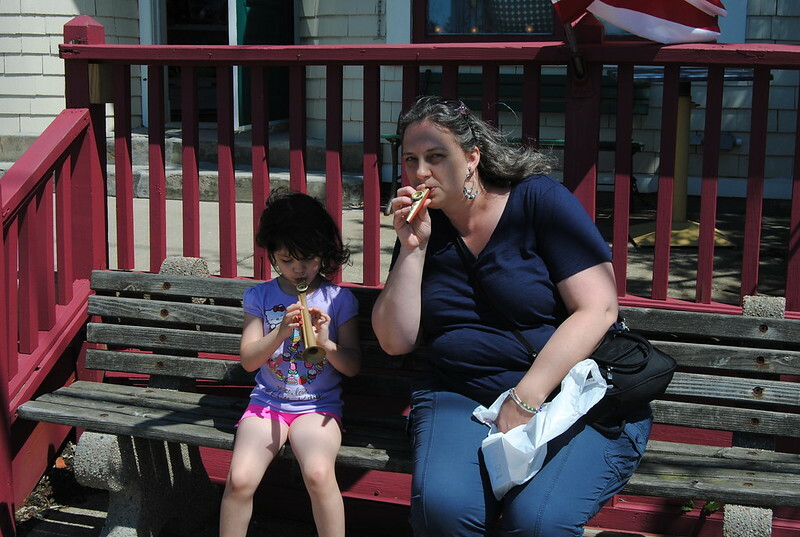 They had a number of specialty-shaped kazoos for sale. 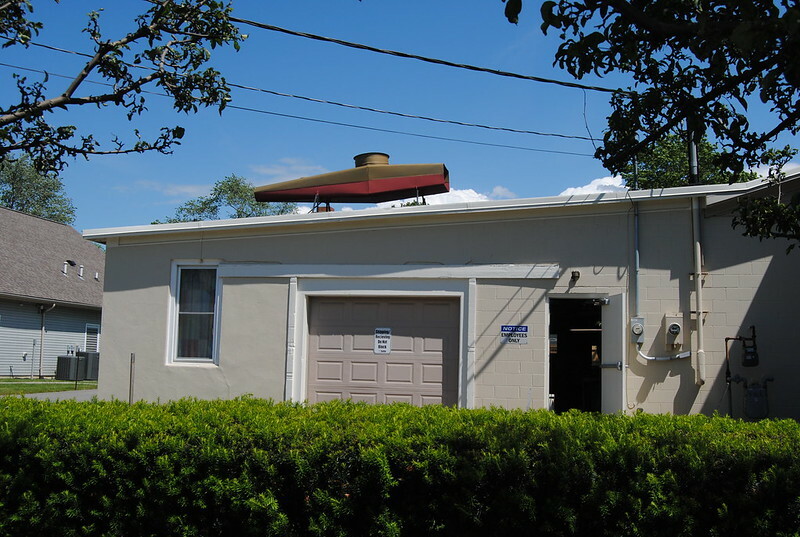 They also had a giant kazoo on their roof.